The University of Pittsburgh Medical Center (UPMC) is a $19 billion integrated nonprofit health enterprise that has 85,000 employees, 40 hospitals with more than 8,000 licensed beds, 600 clinical locations including outpatient sites and doctors’ offices, a 3.4 million-member health insurance division, as well as commercial and international ventures. It is closely affiliated with its academic partner, the University of Pittsburgh. It is considered a leading American health care provider, as its flagship facilities have ranked in US News & World Report "Honor Roll" of the approximately 15 to 20 best hospitals in America for over 15 years. As of 2016, UPMC is ranked 12th nationally among the best hospitals (and second in Pennsylvania) by US News & World Report and ranked in 15 of 16 specialty areas when including UPMC Magee-Womens Hospital. This does not include UPMC Children's Hospital of Pittsburgh which ranked in the top 10 of pediatric centers in a separate US News ranking. UPMC has its roots in the 1893 establishment of Presbyterian Hospital, which serves as the medical center's flagship facility, and the 1886 founding of the Western Pennsylvania Medical College. Soon after its founding, the medical college became affiliated with the Western University of Pennsylvania in 1892, and in 1908, was fully integrated into the university which that same year was renamed to the University of Pittsburgh. Already having worked out informal agreements for teaching and staffing privileges with a number of local hospitals, Pitt and its School of Medicine desired to establish an academic medical center, and by the mid-1920s had formed a plan with a coalition of city hospitals to have them relocate to the Oakland neighborhood of the city that the university had itself moved to in 1909. The University provided Presbyterian Hospital, then located on the North Side, with a tract of land on its campus for construction of a new hospital which broke ground in 1930 and was subsequently opened in 1938. 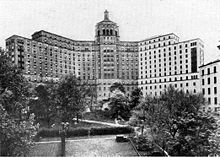 By the end of the 1930s, the University of Pittsburgh had helped to form the "University Medical Center" which included Falk Clinic, Children's, Eye and Ear, Libby Steele Magee, Presbyterian General, and Women's Hospital, as well as the planned Municipal Hospital. In 1949, a new affiliation agreement between the University and Presbyterian Hospital established a three-tiered mission of patient care, research, and education and by 1951, the hospital name changed to Presbyterian University Hospital in order to reflect its close ties with the University of Pittsburgh. In 1958, the "University of Pittsburgh Health Center" was noted to comprise (1) Schools of Medicine, Dentistry, Pharmacy, Nursing, and the Graduate School of Public Health; (2) Presbyterian, Woman's, Children's, Eye and Ear, and Magee Hospitals; and (3) Falk Clinic, Western Psychiatric Institute and Clinic, Child Guidance Center, Salk Hall, and Central Blood Bank. Through the years, the University and the hospitals moved toward an ever-tightening alliance. In 1965, the University, Western Psychiatric Institute and Clinic which was managed by the School of Medicine, Presbyterian-University, Magee and Women's, Eye and Ear, and Children's Hospitals incorporated the University Health Center of Pittsburgh (UHCP). In 1969, Montefiore Hospital joined UHCP. In the 1970s, a new model of administration, in which clinical revenues were invested into research, was implemented at Western Psychiatric under the leadership of Thomas Detre. After guiding the psychiatric institute to become one of the largest recipients of National Institute of Health funding, Detre assumed leadership overseeing all six of the University's schools of health sciences in the early 1980s. Implementing the same administrative model in those units, the collective schools of the health sciences and medical center were ultimately transformed into one of the largest centers for biomedical research in the nation. Beginning in 1986, members of the University Health Center including Presbyterian University Hospital, Falk Clinic, the Pittsburgh Cancer Institute and Eye & Ear Hospital began to consolidate. The consolidated group, re-termed the Medical and Health Care Division (MHCD) and led by Detre, became closely linked administratively, although Presbyterian University Hospital remained a separate entity. 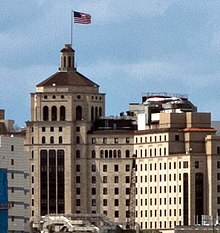 In 1990, MHCD acquired neighboring Montefiore Hospital which it merged with Presbyterian University Hospital to form the entity that was then renamed as the "University of Pittsburgh Medical Center" (shortened to UPMC), which was the first time the current name of the medical center was officially used. UPMC then began to form a network of affiliated specialty and community hospitals in 1994 termed the Tri-State Health System and established a for-profit health insurance division, UPMC Health Plan, which contracted with these hospitals. In 1996, UPMC had moved to acquire South Side, Aliquippa and Braddock hospitals. Meanwhile, UPMC began to merge with several of the already affiliated Tri-State hospitals including St. Margaret Memorial, Shadyside, and Passavant hospitals in 1997 and Magee-Womens Hospital in 1998. The acquisition and mergers of hospitals morphed the Tri-State Health System into a consolidation of hospitals that currently makes up a significant portion of the UPMC health system. Due to its immense growth of the medical center, as well as the University's concerns regarding the financial risks associated with its faculty practice plans in the face of national changes in health care reimbursements, the University of Pittsburgh and UPMC restructured their relationship and legally separated in 1998 thus launching UPMC as an independent nonprofit corporation with the University identified as a supported organization in its articles of incorporation. The University consolidated its physicians' practice plans and transferred them, along with the university's hospital management functions, to UPMC, with UPMC providing ongoing financial support to the University and its academic missions in return. The result was a mutually exclusive partnership of close affiliation formalized by a series of interrelated agreements and mutual executive oversights, which includes the sharing of numerous board members. This created a collaborative and coordinated decision-making model in which UPMC oversees all clinical activity, while the University of Pittsburgh remains the guardian of all academic priorities, particularly faculty-based research. Expansion of UPMC continued in 2001 as Children's Hospital of Pittsburgh began merging with UPMC. Since then, UPMC's growth has continued, including a merger with Mercy Hospital in 2008; the opening of new Children's Hospital facilities in 2009; the integrations of Hamot Medical Center in Erie, Pennsylvania in 2011, Altoona Regional Health System in Altoona, Pennsylvania in 2013, and Jameson Health System in New Castle, Pennsylvania in 2016; along with the continued expansion of overseas operations and for-profit business ventures. In October 2016, Susquehanna Health, a four hospital system in north central Pennsylvania, became the first domestic hospital outside Western Pennsylvania to join the UPMC system. Subsequently, UPMC Susquehanna merged with two additional community hospitals in October of the following year. In December 2016, WCA Hospital of Jamestown, New York became the first New York hospital in the UPMC system. In September 2017, Pinnacle Health, a seven hospital system in South Central Pennsylvania, merged with UPMC and concurrently merged with Hanover Hospital. Cole Memorial hospital partnered with UPMC Susquehanna and merged with the UPMC system in March, 2018. Somerset Hospital, located in Somerset, Pennsylvania, mergged with UPMC on February 1, 2019. In March 2019, UPMC and the Western Maryland Health System announced a nonbinding letter of intent to integrate. UPMC now operates over 35 academic, community, and specialty hospitals in Pennsylvania and New York, as well as over 600 outpatient sites and doctors' offices, more than 50 facilities for physical, occupational, speech and specialty therapies, and 14 retirement and long-term care site, along with its international and for-profit ventures. Among the more renowned individuals who have worked with the University of Pittsburgh's medical center through its history are Jonas Salk who developed the polio vaccine while at the University of Pittsburgh, pediatric psychoanalyst Benjamin Spock, Peter Safar who pioneered CPR and the world's first intensive care training program at the medical center, and surgeon Thomas Starzl who perfected organ transplantation there. Other notable doctors include pathologist Maud Menten who is famous for her contributions to enzyme kinetics, leading orthopedic surgeon and sports medicine expert Freddie Fu, pioneering immunologist Niels Kaj Jerne, noted forensic pathologist and Allegheny County Coroner Cyril Wecht, Vitamin C's discoverer Charles Glen King, pediatrician Jack Paradise, leading head and neck cancer surgeon and otolaryngologist Eugene Nicholas Myers, laparoscopic liver resection pioneer David Geller, breast cancer treatment pioneer Bernard Fisher, and virologists Patrick Moore and Yuan Chang, who co-discovered Kaposi's sarcoma-associated herpesvirus. UPMC has provided care to many celebrities, including Pennsylvania two-term governor and 1992 Presidential candidate Robert P. Casey for cancer, 10,000 Maniacs guitarist and founder Robert Buck for liver disease, sportscaster Bob Prince, publisher William Block, MCI CEO William G. McGowan, transplant recipient Stormie Jones and Pittsburgh mayors Bob O'Connor for lymphoma and Richard Caliguiri for amyloidosis. Pittsburgh Steelers quarterback Ben Roethlisberger was rushed to UPMC Mercy after his 2006 motorcycle crash and NASCAR driver Dale Earnhardt, Jr., was treated for concussions in 2012., Pittsburgh Steelers running back, James Conner was treated at UPMC Hillman Cancer Center, Legendary golfer Arnold Palmer, a native of Latrobe, PA, died at UPMC Shadyside on September 25, 2016. In 2017, Manchester United striker Zlatan Ibrahimović traveled to a UPMC facility to have surgery to repair his torn anterior cruciate ligament. Administratively headquartered in 29 floors of the U.S. Steel Tower in Pittsburgh's Central Business District, UPMC operates as a complete and integrated health provider system that, although legally separate from the University of Pittsburgh, identifies it as a supported organization in its articles of incorporation and remains closely affiliated with the university and its Schools of the Health Sciences including via the existence of mutual board memberships and subsidization of the university's academic programs. Under a collaborative and coordinated decision-making model, UPMC oversees all clinical activity, including a consolidated physicians' practice plan consisting of university faculty, while the University of Pittsburgh remains the guardian of all academic priorities, particularly faculty-based research. UPMC's 24-member Board of Directors equally splits representation between three groups: the University of Pittsburgh, the community at-large, and individuals historically involved in the governance of its system's hospitals. UPMC is composed of three major operating components: Provider Services, Insurance Services, and International and Commercial Services. The later two divisions include the for-profit health insurance company (UPMC Health Plan) and a for-profit International and Commercial Services Division that seeks to bring health care, management, and technologies to market throughout the world. UPMC is the largest employer in the state of Pennsylvania. UPMC's Provider Services consists of an array of clinical capabilities that includes hospitals, specialty service lines (including transplantation, behavioral health, cancer care, children's health, women's health, and rehabilitation services among other centers, institutes, and services), contract services (emergency medicine, pharmacy, and laboratory), supporting foundations, captive insurance programs, and approximately 3,600 employed physicians with associated practices. Hospital activity is categorized in four distinct groups: 1. academic hospitals that provide comprehensive clinical services and specialty services and that are the primary academic and teaching centers; 2. community hospitals that provide core clinical services to suburban populations; 3. regional hospitals that provide clinical core services to broader areas of the Western Pennsylvania region; and 4. pre- and post-acute care capabilities that include a network of home health services (UPMC HomeCare) and a network of 15 senior living facilities (UPMC Senior Communities). UPMC Insurance Services, operating under the umbrella UPMC Health Plan brand, was founded in 1998 and includes various for-profit and non-profit health care financing initiatives. The integrated products of the UPMC Insurance Services Division include UPMC Health Plan (HMO), UPMC Health Network (PPO), Work Partners (workers' compensation and disability for employers), UPMC for Life (Medicare products), UPMC for You (HMO for Medical Assistance beneficiaries), and Community Care Behavioral Health Organization (a non-profit behavioral health PPO for Medical Assistance beneficiaries). These products combine to offer a full range of HMOs, PPOs, and EPOs for group health insurance, Medicare, CHIP, Medical Assistance, behavioral health, employee assistance, and workers' compensation products and services. UPMC also offers consumer-directed health plans like health savings accounts and health reimbursement arrangements. UPMC's provider networks total more than 138 hospitals and more than 16,500 physicians across Pennsylvania and has around three million members making it the largest insurer in Western Pennsylvania. It is also ranked as one of the top commercial health plans in the United States according to U.S. News & World Report. Also included in the Health Services Division are LifeSolutions, an employee assistance program; EBenefits Solutions, a web-based human resources consulting and benefits administration services; and Askesis Development Group, a software development group for behavioral health care. UPMC's International and Commercial Services Division (ICSD) actively manages UPMC's for-profit companies that seek to commercialize its expertise in health care, advanced technologies, and management skills to global markets. Its stated goal is "to advance UPMC’s mission of positively transforming the way health care is provided in the U.S. and abroad, while revitalizing the economy of western Pennsylvania." UPMC International provides health care consulting and management services around the world in areas in various areas including clinical program development, facility and construction planning, clinical investigation, clinical and administrative staff training, and health information technology, and quality, safety, and Innovation. UPMC Enterprises is an innovation and commercialization arm of UPMC which has invested over $700 million in about 80 different ventures in the past twenty years. It seeks to create products and business arising from translational science and technology solutions by collaborating with entrepreneurs. In the past, it has also forgged collaborations with companies such as dbMotion) and strategic and commercial product development partnerships with companies such as IBM and Alcatel-Lucent. UPMC Enterprises portfolio includes such companies as ALung, and Prodiogo Solutions. UPMC currently operates 40 academic, community, and specialty hospitals with more than 8,000 licensed beds, 600 clinical locations including outpatient sites and doctors’ offices, and outpatient sites; over 50 cancer center locations; more than 70 facilities for physical, occupational, speech and specialty therapies; and 20 retirement and long-term care sites. UPMC Presbyterian Shady is UPMC's primary flagship medical entity and represents the core of UPMC's academic, teaching, trauma, specialty and research-related facilities, serving as the system's primary academic hub and Pennsylvania's largest inpatient acute care hospital. UPMC Presbyterian Shadyside includes UPMC Presbyterian hospital and the physically conjoined UPMC Eye & Ear and UPMC Montefiore hospitals as well as the UPMC Western Psychiatric Hospital that also serves as the University of Pittsburgh's Thomas Detre Hall. These facilities are all located on the western side of the University of Pittsburgh's main campus in the Oakland neighborhood of Pittsburgh. The hospitals are also physically connected to the University of Pittsburgh School of Medicine's Scaife Hall, the University of Pittsburgh School of Nursing's Victoria Hall, Falk Clinic, three of the university's biomedical science towers, and the university's Lothrop Hall dormitory, all of which are surrounded by a variety of other academic facilities. UPMC Presbyterian Shadyside also encompasses the UPMC Shadyside hospital campus which includes the University of Pittsburgh Cancer Institute in the UPMC Hillman Cancer Center which are located near the university's Centre Plaza Apartments student housing. The UPMC Shadyside facilities are located in the adjacent neighborhood of Shadyside approximately 1.5 miles (2.4 km) from the Oakland-based hospitals and are connected by regular shuttle service. Also operating under UPMC Presbyterian Shadyside is the UPMC Rooney Sports Complex, located less than 2 miles (3.2 km) from the Oakland-based facilities on Pittsburgh's South Side. Taken together, the facilities contain over 1,600 beds making it the fourth largest hospital in the United States. UPMC Presbyterian is the historic and academic center of UPMC and is physically attached to the primary facility of the University of Pittsburgh School of Medicine, Scaife Hall. Located in Oakland, the hospital has 792 beds and includes a Level I Trauma Center. Listed among Becker's Hospital Review 50 Best Hospitals in America, UPMC Presbyterian's specialties include organ transplantation, cardiology, trauma, gastroenterology, and neurosurgery. The School of Medicine uses UPMC Presbyterian for research and graduate programs. UPMC Montefiore, part of UPMC Presbyterian, was founded as Montefiore Hospital in 1908 by the Ladies Hospital Aid Society as a hospital for Jewish physicians and patients. Montefiore Hospital affiliated with the University of Pittsburgh School of Medicine in 1957 and joined UPMC in 1990. It is the home to the clinical transplantation facilities originally headed by transplant pioneer Thomas Starzl and is physically connected to UPMC Presbyterian and UPMC Eye and Ear by a series of pedestrian bridges. UPMC Eye & Ear Institute is located in the Oakland neighborhood of Pittsburgh and is conjoined with the medical complex housing UPMC Presbyterian, UPMC Montefiore, the University of Pittsburgh School of Medicine, and associated medical research towers. UPMC Ear & Eye Institute is one of a few centers in the nation dedicated entirely to the management of problems related to otolaryngology and ophthalmology. UPMC's nine-story Clinical Laboratory Building (CLB) opened in 2013 and cost $39M. The CLB is located in the Oakland neighborhood and is situated between Magee-Womens Hospital and UPMC Presbyterian Hospital. Much of UPMC's laboratory testing is performed within the CLB. An extensive pneumatic tube system connects the CLB with UPMC hospitals that are in the Oakland neighborhood (Presbyterian, Magee-Womens, Montefiore) to facilitate the transport of specimens from the hospitals to the laboratories. UPMC Shadyside is part of UPMC's flagship medical entity and is located in Pittsburgh's Shadyside neighborhood, with 520 beds and nearly 1,000 primary care physicians. Founded in as the Pittsburgh Homeopathic Hospital, it changed its name to that of the neighborhood of Shadyside on May 12, 1938. Shadyside agreed to be bought by UPMC on June 5, 1996. UPMC Shadyside is home to the Hillman Cancer Center, home of the University of Pittsburgh Cancer Institute. The Hillman Cancer Center is the home of the University of Pittsburgh Cancer Institute, a National Cancer Institute designated cancer center and UPMC Cancer Centers. Hillman Cancer Center serves as the flagship treatment and research facility of the UPMC Cancer Centers network. The center is located in the Shadyside neighborhood of Pittsburgh and is connected to UPMC Shadyside via a pedestrian bridge. UPMC has two major facilities which are contained UPMC Presbyterian Shadyside's sports medicine operations. The UPMC Rooney Sports Complex is a multipurpose, multisport training, sports science, and sports medical complex located along the shore of the Monongahela River in Pittsburgh and is unique in that it combines training facilities for the University of Pittsburgh football team and the Pittsburgh Steelers NFL team in one location with an academically based sports science and medicine program. The complex consists of four centers which include the Center for Sports Medicine, Sports Training Center, Indoor Training Center, and the Fitness and Conditioning Center. The UPMC Lemieux Sports Complex, opened in 2015 in Cranberry Township, is a 185,000 square feet (17,200 m2) contains both a comprehensive outpatient facility for UPMC Sports Medicine and the primary training facilities for the NHL's Pittsburgh Penguins. The outpatient clinic includes orthopedic, primary care, physical therapy, concussion, imaging, and sports performance services. The training facility includes two-full-sized ice rinks, training and locker rooms, video review facility, and executive offices. UPMC Children's Hospital of Pittsburgh is a specialty hospital of UPMC, specializing in pediatrics and is located two and a half miles from UPMC Presbyterian in the Lawrenceville neighborhood of Pittsburgh. Serving as UPMC's primary pediatrics facility, it was originally located adjacent to UPMC Presbyterian in Oakland. Children's is one of four children's hospitals in the state, and its emergency department is one of only two Level I Pediatric Trauma Centers. More than 500,000 infants, children, and adolescents make trips to the hospital every year. Children's ranks in nine of the 10 pediatric subspecialties in the prestigious U.S. News & World Report annual Honor Roll of America's Best Children's Hospitals for 2018–2019. UPMC Children's Hospital of Pittsburgh boasts 1,500,000 square feet (140,000 m2) and has 415 beds, with a 41-bed emergency department and a 36-bed pediatric intensive care unit. A ten-story research center was constructed, with seven out of the ten floors dedicated to pediatric medical research. UPMC Magee-Womens Hospital is a UPMC specialty hospital that serves as its primary facility for women's health. Opened mainly for women on January 19, 1911, it has offered some services for men since the 1960s. The hospital is located in the Oakland neighborhood of Pittsburgh near UPMC Presbyterian, a location it has been at since its fourth year in 1915. The hospital merged with UPMC in 1999. It currently is equipped with 360 beds, an emergency room and ambulatory facilities on four floors which allows it to offer all possible services under one roof including family medicine physicians, gastroenterologists, dermatologists, rheumatologists, pulmonary specialists, orthopedists, urologists and neurologists. Magee-Womens has a staff of 2,500, of which 1,500 are medically licensed. It also operates a satellite hospital in the city's northern suburbs as part as the UPMC Passavant facility as well as 9 metro area imaging clinics. In 2011 the hospital undertook an expansion of its main facility which was completed in June, 2012. The expansion added six floors, increased the number of beds from 318 to 360 (including 14 additional intensive care rooms), and expanded the surgical and ambulatory facilities. 10,000 births are performed at Magee each year, which accounts for 45 percent of all births in Allegheny County. The hospital is built on the grounds of the home of legendary Pittsburgh political boss Christopher Magee and named in honor of his mother, Elizabeth Steel Magee. UPMC Western Psychiatric Hospital is one of the nation's largest and most renowned university-affiliated psychiatric hospitals and serves as UPMC's primary psychiatric facility. For more than 60 years, UPMC Western Psychiatric Hospital has been a national leader in providing best practice, research-based care and a broad array of innovative psychiatric and addiction services for children, adolescents, adults, and seniors at every stage of their recovery. Located adjacent to UPMC Presbyterian Hospital in Thomas Detre Hall on O'Hara Street in the Oakland section of Pittsburgh, and connected to UPMC Presbyterian Hospital by an underground tunnel, Western Psychiatric houses the University of Pittsburgh School of Medicine's Department of Psychiatry and serves as a main teaching hospital for psychiatry, psychology, and social work trainees. With nearly 400 inpatient psychiatric beds and more than 50 ambulatory programs, it is one of the largest behavioral health care providers affiliated with an academic medical center in the country. A fatal shooting incident occurred at Western Psychiatric's Thomas Detre Hall on March 8, 2012. 30-year-old John Shick, a Carleton College alumnus and former Duquesne University biology graduate student, entered the building at 1:42 p.m. with two semiautomatic handguns and shot six people in the first-floor lobby. Michael Schaab, 25, a Western Psychiatric therapist, was killed. University of Pittsburgh police arrived just after 2 p.m. and engaged Shick in a gun battle, eventually killing him. Seven people, including Pitt police officers, were injured and two, including the shooter, were killed during the incident. Shick was reported to have a history of mental illness and had behaved erratically in the weeks before the shooting. 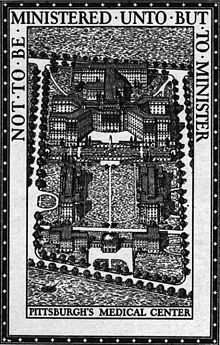 Handwritten messages complaining about his medical treatment and the evils of "corporate America," floor plans and blueprints of Thomas Detre Hall, and supplies for making Molotov cocktails were found in his apartment after the shooting. In 2018, UPMC announced it would be constructing 3 additional specialty hospitals in Pittsburgh: a vision hospital set to open adjacent to UPMC Mercy, a 180-bed cancer hospital set to open adjacent to UPMC Shadyside, and a 620-bed heart and transplant specialty hospital set to open adjacent to UPMC Presbyterian. The following tertiary hospitals are major full-service, referral hospitals of the UPMC system. UPMC Mercy is a 495-bed teaching and Level 1 trauma hospital located in the Bluff neighborhood adjacent to downtown and less than two miles (3 km) from UPMC Presbyterian in Oakland. Mercy was the first chartered hospital in the city of Pittsburgh and was the first hospital in the world to have been established by the Sisters of Mercy. Mercy has retained its affiliation with the Catholic Church following its merger with UPMC in January 2008. The UPMC Mercy South Side Outpatient Center, formerly UPMC South Side hospital, is a 209,000-square-foot (19,400 m2) urgent care and outpatient facility serving the South Side neighborhood of Pittsburgh. It is one of several UPMC outpatient medical facilities serving various communities throughout the region. UPMC Altoona, located in Altoona, Pennsylvania, is a 361-bed, non-profit, private community hospital system that contains more than 20 affiliated health care companies and functions as the regional referral center and tertiary hub of UPMC in west central Pennsylvania. UPMC Hamot is 423-bed, tertiary care teaching medical center with a Level II trauma center located in Erie, Pennsylvania. Hamot offers primary medical care and the full complement of medical specialties. The hospital was founded in 1881 and officially became part of UPMC in 2011. UPMC Hamot Women's Hospital is a five-story, 165,000 square-foot, 93-bed stand-alone hospital that opened in 2011. The hospital houses obstetrics, neonatology, and gynecology specialities of UPMC Hamot and includes a Level III neonatal intensive care unit. As of October 2013, it also houses the Pediatrics wing of UPMC Hamot. UPMC Kane, formerly known as Kane Community Hospital, is a 31-bed acute care hospital located in Kane, Pennsylvania that became an affiliate of UPMC Hamot in November, 2009. UPMC Kane was fully integrated into the UPMC network on April 1, 2017, and functions as a direct subsidiary of UPMC Hamot. UPMC Passavant is UPMC's tertiary care hospital of Pittsburgh's northern suburbs that consist of two campuses, one in McCandless and another in Cranberry Township with a combined 423 beds. Founded by Lutherans in 1849, Passavant was the first Protestant hospital built in the United States. In 1964, Passavant moved from the City of Pittsburgh to its location in McCandless to serve the communities of northern Allegheny and southern Butler counties. Passavant merged with UPMC in 1997 and in 2002, as part of UPMC's acquisition of St. Francis Medical Center for the conversion of its flagship facility into the new Children's Hospital of Pittsburgh, UPMC converted St. Francis' hospital in Cranberry into a satellite campus of UPMC Passavant. In 2010, a seven-story 188,000 square foot patient pavilion was opened on the McCandless campus bringing total beds there to 399. UPMC Pinnacle Harrisburg is a 627-bed urban, teaching, community hospital in Harrisburg, Pennsylvania, serving as the primary referral hospital for the UPMC Pinnacle system which comprises eight hospitals and additional clinics serving south central and southeastern Pennsylvania]]. UPMC Susquehanna Williamsport is a 224-bed tertiary hospital in Williamsport, Pennsylvania, serving as the primary referral hospital of the six hospital UPMC Susquehanna system serving north central Pennsylvania. UPMC operates the following acute care community hospitals dedicated to specific missions within their particular communities. UPMC Bedford, located in Everett, Pennsylvania. UPMC Chautauqua, located in Jamestown, New York, is a 317-bed hospital that was originally charted in 1885. It is the only domestic hospital located outside of Pennsylvania to become part of the UPMC system. UPMC Cole located in Coudersport, Pennsylvania is partnered with UPMC Susquehanna. UPMC East, a $250 million full-service, 155-bed hospital that opened in Monroeville, Pennsylvania in July, 2012. UPMC Horizon, which consists of the Greenville and Shenango Valley campuses. UPMC Jameson, which consists of a North and South campus located in New Castle, Pennsylvania. UPMC McKeesport, located in McKeesport, Pennsylvania. UPMC Northwest, located in Seneca, Pennsylvania. UPMC St. Margaret, a 248-bed acute care and teaching hospital near Aspinwall, PA, serving the residents of northeastern Allegheny County and the Alle-Kiski Valley. Internationally, UPMC operates a transplant hospital in Italy (ISMETT), a hospital and two cancer centers in Ireland, a cancer center in Rome and an emergency medical system in Qatar. UPMC is also implementing information technology solutions and assisting with the development of cancer centers in the United Kingdom, will manage a newly created health care center in Cyprus, is providing consultation services in China, and, with the University of Pittsburgh School of Medicine, is implementing a U.S.-style resident training program in Japan. In addition, UPMC announced a partnership with GE Healthcare in November 2008 to open 25 additional cancer treatment centers across Europe and the Middle East over the next ten years. UPMC is also a partner with the University of Pittsburgh and the governments of Italy and the region of Sicily in Fondazione Ri.Med, which is building a €210 million Biomedical Research and Biotechnology Center in Carini near Palermo. The Mediterranean Institute for Transplantation and Advanced Specialized Therapies (Istituto Mediterraneo per i Trapianti e Terapie ad Alta Specializzazione, or ISMETT) is located in Palermo, Italy, and serves the region of Sicily and the Mediterranean as a hospital designed exclusively for transplants and treatment of end-stage organ failure. ISMETT is a joint public-private partnership between the Region of Sicily, through Civico and Cervello hospitals in Palermo, and UPMC, which manages and operates the facility. It is also a center for research in regenerative medicine and various international collaborations including the University of Pittsburgh's and UPMC's McGowan Institute for Regenerative Medicine. UPMC Whitfield is an 80-bed private hospital located in Waterford, Ireland. UPMC, which had operated a cancer center at the hospital since 2006, acquired the hospital on May 24, 2018. Salvator Mundi International Hospital 75-bed private hospital in Rome, Italy, that is jointly owned by UPMC and Rome International Hospital Management Srl. UPMC owns a 50% stake in the hospital and leads its medical operations including having responsibility for selecting its medical director and chief operating officer. Former UPMC hospitals include UPMC Beacon Hospital in Dublin, Ireland (2009 to 2014) which was acquired by Irish businessman Denis O'Brien; UPMC Braddock in Braddock, Pennsylvania (1996 to 2010) which was closed; UPMC South Side hospital in Pittsburgh (1996 to 2009) which was merged with UPMC Mercy and converted into UPMC Mercy South Side Outpatient Center; UPMC Lee Regional in Johnstown, Pennsylvania (1998 to 2005) which was sold to Conemaugh Health System; and UPMC Beaver Valley in Aliquippa, Pennsylvania (1996 to 2001) which was transferred back to its community board and subsequently closed. UPMC Pinnacle Lancaster, formerly St. Joseph's hospital in Lancaster, Pennsylvania, closed on February 28, 2019, and its services were consolidated into UPMC Pinnacle Lititz. UPMC has committed to several community projects, most notably pledging $100 million to the Pittsburgh Promise, a scholarship program to help students graduating from the Pittsburgh Public Schools pursue post-secondary education, and $525 million for construction of a new Children's Hospital. In fiscal year 2012, UPMC donated a combined $622 million in charitable community benefits. This included $96 million in community health programs and charitable donations to help stage more than 3,000 community health improvement programs, $288 million in support for research and education, and $238 million for charity care and unreimbursed health care, not including an additional $146 million to cover Medicare reimbursement shortfalls. Despite its 60% market share, UPMC accounted for 78% of the care in Allegheny County's low income communities and 88% of the care for children living in poverty. UPMC contributed $887 million, or more than 15 percent of its net patient revenue, to community services in Fiscal Year 2013, and provides more care to the most underserved areas than any other health care institution in the region. UPMC has been criticized for excessive profits, monopolistic practices, excessive advertising budgets, and focusing on overseas operations at the expense of domestic ones. In addition, various controversies have received significant local and national attention in recent years. In 2008, the administration and reporting of UPMC's living donor liver transplantation program received national attention when internal studies, spearheaded by transplant pioneer Thomas Starzl, questioned the safety of the procedure and ultimately resulted in the forced resignation of liver transplant program head, Amadeo Marcos. Another controversy arose in May 2011 for UPMC's live-donor kidney transplant program when a kidney infected with hepatitis C was transplanted into a non-infected person. The incident led UPMC to voluntarily shut down its kidney transplant program for two months, and resulted in the suspension of a nurse and demotion of a surgeon. Federal reviewers with United Network for Organ Sharing concluded human error at fault for the oversight and corrective plans that included multiple redundancies were instituted with oversight from the Pennsylvania Department of Health. Because of the botched living donor kidney transplant at UPMC, the federal Organ Procurement Transplant Network (OPTN) put UPMC's transplant program on probation, a rarely used form of discipline handed down for some of the most serious transplant errors. The OPTN said it meted out the discipline not only because of the kidney transplant error, but because UPMC's transplant program was found to have problems in its communication and documentation procedures before. In April 2009, rival West Penn Allegheny Health System filed an antitrust lawsuit against the UPMC and health insurer Highmark, claiming a conspiracy to create a monopoly. The lawsuit was later dismissed with prejudice. West Penn Allegheny filed an appeal of this judgment. Upon appeal, the case was unanimously reinstated by the US Third Circuit Court of Appeals. In October 2009, UPMC's administration decision to close UPMC Braddock hospital resulted in multiple protest and lawsuits by community groups who disputed UPMC's claims that the hospital was losing money and was underutilized. The facility, now demolished in preparation for redevelopment, closed in January 2010. In April 2013, UPMC has been criticized for paying low wages, and using unfair labor practices to thwart efforts by employees to unionize, as alleged in the Service Employees International Union's complaint to the National Labor Relations Board. In March 2013, the City of Pittsburgh filed a lawsuit in Federal court challenging the tax exempt status of UPMC as a public charity, in an effort to make UPMC to pay back taxes. The city alleged that UPMC has abused its status to avoid paying property taxes. The city dropped its lawsuit in 2014. The television medical dramas Heartland (2007) and Three Rivers (2009) were largely based on UPMC and the University of Pittsburgh's Thomas E. Starzl Transplantation Institute. In both cases the hospitals are fictionalized, but in the latter series UPMC is also specifically referred to as another Pittsburgh-area hospital. ^ a b c "UPMC Facts & Stats". UPMC. September 1, 2018. Retrieved September 1, 2018. ^ "Our Locations". UPMC. 2016. Retrieved August 31, 2017. ^ a b c Twedt (August 30, 2017). "Acquisitions bolster UPMC revenue to $17billion". Pittsburgh Post-Gazette. Retrieved August 30, 2017. ^ "By the Numbers: UPMC Facts and Figures". UPMC. September 1, 2018. Retrieved September 1, 2018. ^ a b Steele, Bruce (1997-05-01). "Pitt, UPMCD, UPMCS: Keeping it all straight is difficult". University Times. Retrieved 2008-09-01. ^ a b Comarow, Avery; Harder, Ben (August 11, 2016). "2016-17 Best Hospitals Honor Roll and Overview". U.S. News & World Report. Retrieved August 29, 2016. ^ a b Levin, Steve (2005-12-25). "Empire Building: Part 1 Western Psych a perfect place to start". Pittsburgh Post-Gazette. Pittsburgh, PA. Retrieved September 1, 2018. ^ a b c "UPMC Presbyterian: Our History". Retrieved 2009-07-29. ^ Starrett, Agnes Lynch (1937). Through one hundred and fifty years: the University of Pittsburgh. Pittsburgh, PA: University of Pittsburgh Press. p. 355. ^ Alberts, Robert C. (1986). Pitt: the story of the University of Pittsburgh, 1787-1987. Pittsburgh, PA: University of Pittsburgh Press. p. 41. ^ a b Alberts, Roberts C. (1986). Pitt: The Story of the University of Pittsburgh, 1787-1987. Pittsburgh, PA: University of Pittsburgh Press. p. 430. ISBN 978-0-8229-1150-0. Retrieved 2011-07-17. ^ Eye and Ear Hospital, Pittsburgh Medical Center (c. 1926). Lord, that I may receive sight. Retrieved 2011-07-17. ^ "The People Speak: Legislature's Recognition of Pitt School of Medicine". Pittsburgh-Post-Gazette. Pittsburgh, PA. 1930-06-03. Retrieved 2009-08-07. ^ "Award Work for Hospital". Pittsburgh Post-Gazette. Pittsburgh, PA. 1936-12-20. Retrieved 2009-08-07. ^ University of Pittsburgh Fact Book. University of Pittsburgh. 1979. p. 62. Retrieved 2009-07-31. ^ "Medical School Attains High Standards". The Owl. University of Pittsburgh: 108. 1938. Retrieved 2009-07-31. ^ "Parran Committee Findings Now Being Studied". Alumni News Review. Pittsburgh, PA: University of Pittsburgh. 13 (1): 2. October 1958. Retrieved January 24, 2015. ^ Brignano, Mary (2009). Beyond the Bounds: A History of UPMC. Pittsburgh, PA: Dorrance Publishing Co. ISBN 978-1-4349-0283-2. Retrieved 2010-10-11. ^ a b Levin, Steve (December 27, 2005). "Empire Building: Consolidation and controversy at UPMC". Pittsburgh Post-Gazette. Pittsburgh, PA. Retrieved July 13, 2013. ^ a b c Levine, Steve (December 28, 2005). "Empire Building: Clash of the Titans". Pittsburgh Post-Gazette. Pittsburgh, PA. Retrieved July 12, 2013. ^ a b c Levine, Arthur S; Detre, Thomas P.; McDonald, Margaret; Roth, Loren H.; Huber, George A.; Brignano, Mary Germann; Danoff, Sandra N.; Farner, David M.; Masnick, Jeffrey L.; Romoff, Jeffrey A. Romoff (September 2008). "The relationship between the University of Pittsburgh School of Medicine and the University of Pittsburgh Medical Center—a profile in synergy". Academic Medicine. Lippincott Williams & Wilkins. 83 (9): 815–826. doi:10.1097/ACM.0b013e318181d1a8. ISSN 1040-2446. PMID 18728434. Retrieved 2010-06-04. ^ a b "Form 990 Return of Organization Exempt From Income Tax" (PDF). UPMC. May 11, 2018. p. 20. Retrieved October 10, 2018. ^ a b Bruce, David (2011-02-02). "Erie hospital now officially UPMC Hamot". Erie Times-News. Erie, PA. Retrieved 2011-02-02. ^ Kibler, William (July 1, 2013). "Hospital becomes UPMC Altoona". Altoona Mirror. Retrieved May 3, 2016. ^ Schmitt, Ben (May 2, 2016). "UPMC merger with New Castle's Jameson Health is official". Pittsburgh Tribune-Review. Retrieved May 2, 2016. ^ Beauge, John (October 18, 2016). "Susquehanna Health becomes part of UPMC; $500 million investment announced". The Patriot-News. Retrieved October 18, 2016. ^ Gough, Paul J. (October 2, 2017). "UPMC adds hospitals in Lock Haven and Sunbury". Pittsburgh Business Times. Retrieved October 3, 2017. ^ a b Phillips, Dennis (December 3, 2016). "Merger Between WCA Hospital, UPMC Finalized". The Post-Journal. Jamestown, NY. Retrieved December 3, 2016. ^ Wenner, David (September 1, 2017). "PinnacleHealth announces completion of mergers with UPMC, Hanover Hospital". The Patriot-News. PennLive.com. Retrieved September 1, 2017. ^ a b "Cole Memorial becomes UPMC Cole in affiliation". Wellsville Daily Reporter. Wellsville, NY. March 5, 2018. Retrieved March 5, 2018. ^ Pesto, Mark (February 2, 2019). "Somerset Hospital officially merges into UPMC network, becomes UPMC Somerset". The Tribune-Democrat. Johnstown, Pennsylvania. Retrieved February 3, 2019. ^ Gough, Paul J. (March 29, 2019). "UPMC in talks to expand into a third state". Pittsburgh Business Times. Retrieved April 8, 2019. ^ Yozwik, Ed; Hilston, James (2005-12-26). "UPMC: Hospitals and facilities". Pittsburgh Post-Gazette. Retrieved 2009-07-30. ^ "Freddie H. Fu, MD". ^ "@Natalie, Natalie Merchant Web site". ^ Richard S. Caliguiri Dies at 56 In 3d Term as Pittsburgh Mayor - New York Times. Nytimes.com (1988-05-07). Retrieved on 2013-09-04. ^ Smeltz, Adam (September 6, 2014). "UPMC campaigns on patients' willingness to travel". Pittsburgh Tribune-Review. Retrieved September 7, 2014. ^ "Golf legend, Latrobe native Arnold Palmer dies at 87". ^ Brown, Luke (May 11, 2017). "Zlatan Ibrahimovic gives knee surgeon a signed Manchester United shirt after operation on cruciate ligament injury". The Independent. London. Retrieved May 13, 2017. ^ Conte, Andrew (July 15, 2011). "UPMC slashes board by 29 members". Pittsburgh Tribune-Review. Retrieved March 1, 2019. ^ a b c "UPMC Unaudited Quarterly Statement For the Period Ended March 31, 2009" (PDF). UPMC. 2009-05-08: 3. Retrieved 2009-09-04. ^ "Provider Services Fast Facts". UPMC. Retrieved 2009-09-04. ^ a b "Insurance Services Fast Facts". UPMC. Retrieved 2009-09-04. ^ "UPMC Health Plan". UPMC. Retrieved 2009-09-04. ^ Schmitt, Ben (August 29, 2016). "UPMC reports strong year-end financials". Pittsburgh Tribune-Review. Retrieved August 29, 2016. ^ a b Kelly, Kate; Bradley-Steck, Tara; Snyder, Karen (2012). "UPMC Insurance Services Division 2012 Annual Report" (PDF). Pittsburgh, PA: UPMC Health Plan Marketing & Communications Department: 3. Retrieved 2012-11-08. ^ "Best Health Plans: UPMC Health Plan". U.S. News & World Report. 2008-11-07. Retrieved 2009-06-24. ^ "UPMC: International & Commercial Services Division". Retrieved 2009-07-30. ^ "UPMC International About Us". UPMC International. 2016. Retrieved October 10, 2018. ^ "Services". UPMC International. 2016. Retrieved October 10, 2018. ^ Roth, Mandy (July 19, 2018). "How UPMC Turned Innovation Into an Enterprise". Retrieved October 10, 2018. ^ Crotti, Nancy (October 3, 2016). "Here's how University of Pittsburgh Medical Center (UPMC) Enterprises launches companies". MedCityNews. Retrieved October 10, 2018. ^ "UPMC Enterprises About". UPMC Enterprises. 2018. Retrieved October 10, 2018. ^ "UPMC Enterprises Portfolio". UPMC Enterprises. 2018. Retrieved October 10, 2018. ^ "By the Numbers: UPMC Facts and Figures". UPMC.com. Retrieved January 13, 2013. ^ "The UPMC Story". UPMC.com. 2018. Retrieved November 12, 2018. ^ Oh, Jamie (October 26, 2010). "50 Largest Hospitals in America". Becker's Hospital Review. ASC Communications. Retrieved May 7, 2013. ^ Page, Leigh (March–April 2011). "50 Best Hospitals in America". Becker's Hospital Review. ASC Communications. 2011 (3): 32. Retrieved 2011-08-02. ^ "UPMC opens $39 million lab". Pittsburgh Business Times. Retrieved 2014-09-17. ^ "UPMC constructing underground pneumatic tubes to link hospitals to new lab". Pittsburgh Post-Gazette. Retrieved 2014-09-17. ^ "UPMC Shadyside: About Us". UPMC. Retrieved 2018-09-01. ^ "UPMC Lemieux Sports Complex: About Us". UPMC Penguins Rinks. Retrieved July 14, 2018. ^ "2018 Pediatric Hospital Rankings by Specialty". U.S. News & World Report. ^ A Hospital That Feels Like Home - Pittsburgh Post-Gazette. accessdate=2009-05-02. ^ Fitzpatrick, Dan (2007-08-12). "Building new Children's Hospital changes community and how patients are cared for". Pittsburgh Post-Gazette. Retrieved 2008-04-28. ^ Smith, Pohla (2011-01-19). "Magee-Womens Hospital turns 100". Pittsburgh Post-Gazette. Pittsburgh, PA. Retrieved 2012-06-07. ^ Mamula, Kris B. (2012-06-07). "Magee-Womens' expansion completed". Pittsburgh Business Times. Retrieved 2012-06-07. ^ Gurman, Sadie (2012-03-08). "Two dead, seven injured in Western Psych shooting". Pittsburgh Post-Gazette. Pittsburgh, PA. Retrieved 2012-03-21. ^ Thomas, Lillian (2012-03-18). "Western Psych shooting followed volatile years for John Shick". Pittsburgh Post-Gazette. Pittsburgh, PA. Retrieved 2012-03-21. ^ "UPMC Selects Architecture Firms for $2B Specialty Hospital Investment" (Press release). UPMC. September 26, 2018. Retrieved October 10, 2018. ^ "Interactive Hospital Map: Hospitals and Health Systems of Pennsylvania". HAPonline.org. The Hospital & Healthsystem Association of Pennsylvania. July 2018. Retrieved December 3, 2018. ^ "Hamot Health Foundation Archive" (PDF). Retrieved January 22, 2013. ^ "Quick Facts - Hamot Women's Hospital". UPMCHamot.com. Retrieved January 22, 2013. ^ "History". Kane Community Hospital, an affiliate of UPMC Hamot. Archived from the original on May 7, 2013. Retrieved January 14, 2013. ^ "Kane Community Hospital becomes UPMC Kane". The Bradford Era. Bradford, PA. April 7, 2017. Retrieved April 9, 2017. ^ "Passavant Hospital and UPMC Announce Plans to Merge". UPMC.edu. January 28, 1997. Retrieved June 24, 2013. ^ Lin, Judy (August 20, 2012). "St. Francis hospitals sold". Beaver County Times. Retrieved June 24, 2013. ^ Ganster, Kathleen (March 18, 2010). "UPMC Passavant expansion aims to meet needs of more patients". Pittsburgh Post-Gazette. Retrieved June 24, 2013. ^ City of Harrisburg (2006). "Healthcare in the Harrisburg area". harrisburgpa.gov/. Archived from the original on 2006-11-16. Retrieved 2006-12-31. ^ "About UPMC Chautauqua WCA". December 2016. Retrieved December 3, 2016. ^ Nixon, Alex (2012-07-03). "UPMC East takes in first patients". Pittsburgh Tribune-Review. Retrieved 2012-07-03. ^ "UPMC St. Margaret". UPMC. ^ Miller, Barbara (September 11, 2017). "UPMC Pinnacle unveils its new health care brand". PennLive. Retrieved September 11, 2017. ^ Nixon, Alex (January 15, 2013). "UMPC opens cancer center in Rome". Pittsburgh Tribune-Review. Retrieved January 17, 2013. ^ Twedt, Steve (2011-06-01). "UPMC signs deal to consult in China". Pittsburgh Post-Gazette. Pittsburgh, PA. Retrieved 2011-06-01. ^ "UPMC Fast Facts". UPMC. Retrieved 2009-07-29. ^ "UPMC expands global reach with deals in England, Japan". Pittsburgh Business Times. American City Business Journals. 2009-10-09. Retrieved 2009-11-12. ^ Mitchell, Susan (2008-11-23). "UPMC planning to open 25 cancer centres outside Ireland". The Sunday Business Post. Cork, Ireland. Retrieved 2008-08-26. ^ Schmid, John (2008-11-12). "GE, medical center team up to build cancer centers worldwide". Milwaukee-Wisconsin Journal Sentinel. Retrieved 2008-08-26. ^ "Fondazione Ri.MED". fondozionerimed.edu. Retrieved January 17, 2013. ^ "The ISMETT project". Retrieved 2008-08-05. ^ "News:McGowan Institute/ISMETT Partnership - Regenerative Medicine at the McGowan Institute". Retrieved 2009-08-06. ^ Mamula, Kris B. (May 24, 2018). "UPMC buys hospital as it expands its presence in Ireland". Pittsburgh Post-Gazette. Retrieved May 24, 2018. ^ Gough, Paul J. (September 21, 2017). "UPMC invests in hospital, adds to services in Italy". Pittsburgh Business Times. Retrieved September 23, 2017. ^ Wenner, David (September 21, 2017). "UPMC, the growing Pa. health care giant, expanding in Italy too". The Patriot-News. PA Media Group. Retrieved September 23, 2017. ^ Mamula, Kris B. (2009-06-26). "UPMC moves to expand presence in Ireland with investment". Pittsburgh Business Times. Pittsburgh, PA. Retrieved 2009-08-05. ^ O'Halloran, Barry (2009-08-26). "US group to take control of Beacon Hospital". The Irish Times. Dublin, Ireland. Retrieved 2009-09-02. ^ Lyons, Tom (April 8, 2014). "Denis O'Brien takes control of Beacon Private Hospital". The Irish Times. Retrieved May 9, 2014. ^ Rujumba, Karamagi (February 3, 2010). "UPMC to raze Braddock hospital". Pittsburgh Post-Gazette. Retrieved May 9, 2014. ^ Hasch, Michael (July 1, 2009). "UPMC South Side emergency room makes move across river to Mercy". Pittsburgh Tribune-Review. Retrieved May 9, 2014. ^ Lepley, Sandra (June 1, 2005). "Conemaugh, UPMC-Lee merger has little effect on Meyersdale Medical Center". Daily American. Somerset, PA. Retrieved May 9, 2014. ^ Waite, Stephanie (March 25, 2001). "Saving the Hospital". Beaver County Times. Retrieved May 9, 2014. ^ Zlatos, Bill (2007-12-05). "UPMC's promise: $100M for grads". Pittsburgh Tribune-Review. Retrieved 2010-11-18. ^ Templeton, David (2009-04-26). "A decade of decisions shaped new Childrens' Hospital". Pittsburgh Post-Gazette. Pittsburgh, PA. Retrieved 2010-11-18. ^ "UPMC Fast Facts: Commitment to the Community" (PDF). UPMC. May 2013. Retrieved July 13, 2013. ^ a b "UPMC Fast Facts: Commitment to the Community". UPMC. September 2018. Retrieved September 1, 2018. ^ Snowbeck, Christopher (2006-08-27). "Nonprofits: how much is too much?". Pittsburgh Post-Gazette. Pittsburgh, PA. Retrieved 2010-11-18. ^ Kalson, Sally (2010-01-31). "Is there a doctor in the house?". Pittsburgh Post-Gazette. Pittsburgh, PA. Retrieved 2010-10-18. ^ Heyl, Eric (2010-11-07). "Braddock feels the purple pain of UPMC's logo". Pittsburgh Tribune-Review. Retrieved 2010-11-18. ^ Hamill, Sean D. (2010-03-30). "How UPMC's overseas operations blossomed in 14 years". Pittsburgh Post-Gazette. Pittsburgh, PA. Retrieved 2010-10-18. ^ "Doing a Volume Business in Liver Transplants". The Wall Street Journal. 2008-11-21. Retrieved 2010-11-17. ^ "Unhealthy numbers: A study on UPMC liver transplants reveals risks". 2009-08-10. Retrieved 2010-11-17. ^ Fabregas, Luis (2011-07-15). "UPMC will resume live-donor liver and kidney transplants". Pittsburgh Tribune-Review. Retrieved 2012-01-09. ^ Hammil, Sean (November 16, 2011). "Transplant error puts UPMC on probation". Pittsburgh Post-Gazette. Pittsburgh, PA. Retrieved January 10, 2012. ^ Todd Rodriguez (April 23, 2009). "West Penn Allegheny Health System Inc. Files Anti-trust Lawsuit Against University of Pittsburgh Medical Center and Highmark Inc". Physician News. ^ Toland, Bill; Twedt, Steve (2009-10-30). "West Penn's lawsuit dismissed". Pittsburgh Post-Gazette. Retrieved 2009-10-30. ^ "Business news briefs". Pittsburgh Post-Gazette. 2009-11-21. ^ Balingit, Moriah (2009-10-22). "Braddock officials preparing for action after hospital closes". Pittsburgh Post-Gazette. ^ "Save Braddock Hospital!". Retrieved 2010-02-01. ^ Twedt, Steve (2009-10-31). "UPMC Braddock usage rate disputed". Pittsburgh Post-Gazette. ^ "Demolition Begins On Former UPMC Braddock Hospital". WPXI.com. 2010-10-07. Retrieved 2010-11-17. ^ Group says UPMC wage scale is harmful - Pittsburgh Post-Gazette. Post-gazette.com (2013-08-22). Retrieved on 2013-09-04. ^ UPMC facing charges of unfair labor again - Pittsburgh Post-Gazette. Post-gazette.com (2013-04-11). Retrieved on 2013-09-04. ^ Pittsburgh lawsuit challenges UPMC's tax status - Pittsburgh Post-Gazette. Post-gazette.com (2013-03-21). Retrieved on 2013-09-04. ^ Bowling, Brian (July 28, 2014). "UPMC, Pittsburgh drop tax-status fight". Pittsburgh Tribune-Review. Retrieved August 29, 2016. ^ "AG Josh Shapiro files legal challenge against UPMC /Highmark dispute". Trib Total Media. Retrieved 7 February 2019. ^ "Two visions for the future of health care are at war in Pittsburgh". Washington Post. Washington Post. Retrieved 7 February 2019. ^ "Highmark UPMC Consent Decree" (PDF). PA Insurance Department. PA Insurance Department. Retrieved 7 February 2019. ^ < "Restoring Fairness in Western Pennsylvania". PA Attorney General. PA Attorney General. Retrieved 7 February 2019. ^ Lindstrom, Natasha (February 21, 2019). "UPMC rejects state Attorney General Shapiro's attempt to halt breakup with rival Highmark". Pittsburgh Tribune-Review. Retrieved February 28, 2019. ^ Owen, Rob (2007-06-17). "Series comes from the heart of local medicine". Pittsburgh Post-Gazette. Pittsburgh, PA. Retrieved 2009-10-28. ^ Owen, Rob (2009-10-04). "Doctored Pittsburgh-set medical drama finally premieres". Pittsburgh Post-Gazette. Pittsburgh, PA. Retrieved 2009-10-28. Wikimedia Commons has media related to University of Pittsburgh Medical Center.